The mathematics department encourages talented students to pursue research with one of our faculty members. Many of our faculty have available research options, if you’re a student in mathematics, let us know if you’re interested in mathematical research. Below is an archive of previous student research. 2018 Jonathan Zluticky James Fetterly Problem Posing Project: A Serious Fibonacci Fiasco. Presented at SEARCDE 2015 in Greensboro, NC. 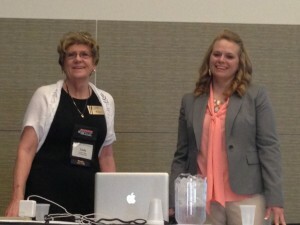 The created lessons available from the NCSM website. 2014 David Addison Danny Arrigo Symmetries and integrating factors of 2nd Order ODEs. 2014 Thomas Deatherage Danny Arrigo Nonclassical Symmetries of the 2D Navier Stokes equation. 2014 Seth Bloomberg Danny Arrigo A nonclassical classification of a generalized KdV equation. Christopher Willette Weijiu Liu Reactive mixing enhancement by optimal tuning of flows. Christopher Pickens Weijiu Liu Mathematical Determination of Competitive Feedback Inhibition Rates in Branched Metabolic Patheways.